Thank you for your interest in Hudson Youth Soccer Association (HYSA)! We have a number of resources for you. Code of Conduct: While virtually all parents and spectators are supportive during games and practices, there are some exceptions. Therefore we ask all parents to sign a Code of Conduct agreement before we let your child participate. FAQ: Can’t find the answer to your question? Visit our FAQ page to learn about any answer to your questions. Game Schedule: Here is an overview of when games are played by age group. 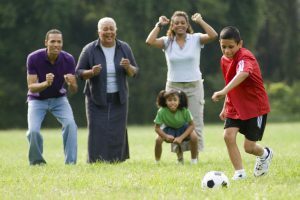 Soccer Basics: Here is a great resource for kids and parents to learn about the game. Soccer Programs: An overview of the different programs from our small fry programs to our high school-aged programs. Uniforms: Information about the different uniforms. Volunteers: We are a volunteer-based organization and we need your help. Whether it is as a coach, a team parent, an field setter-upper or any of the many roles we need filled, we can’t succeed without your help.